Vari. 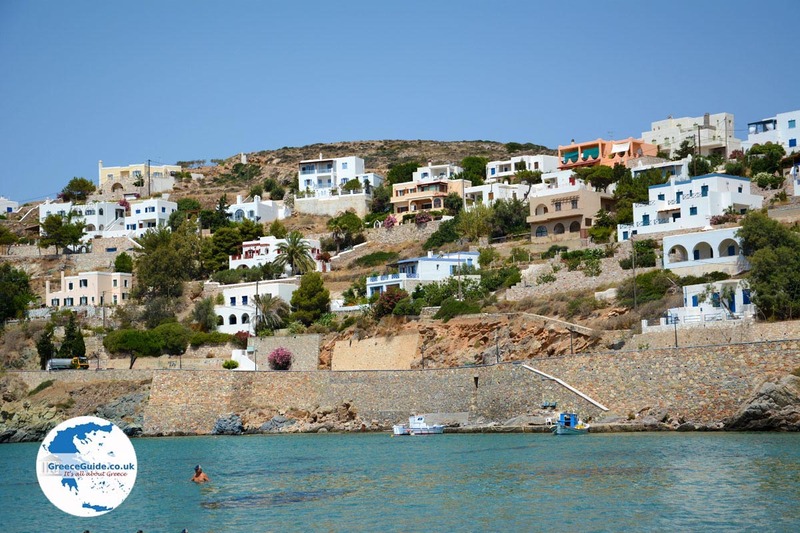 Seven kilometers (4.3 mi) south of Ermoupolis is the village of Vari, one of the oldest, largest and most authentic villages of the Greek island of Syros. Vari is a farming village, because it is located in a fertile area. Archaeological remains from prehistoric times were discovered in Vari. 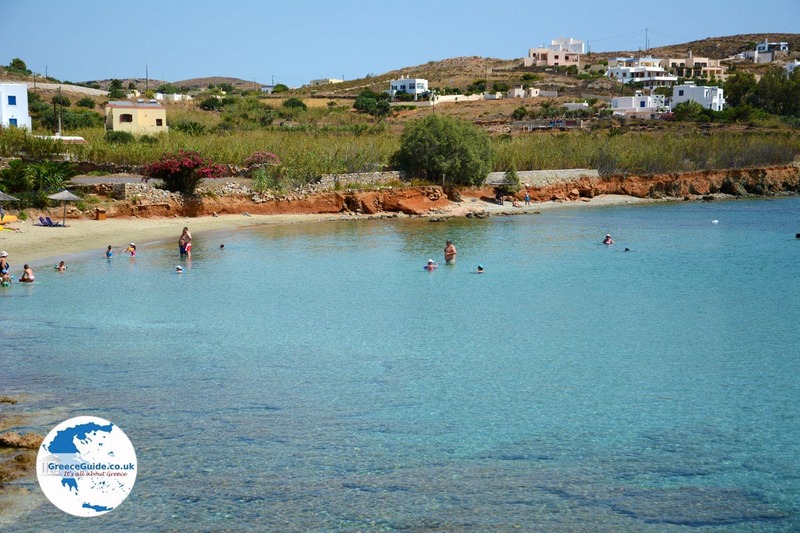 Here you’ll also find the great eponymous bay. 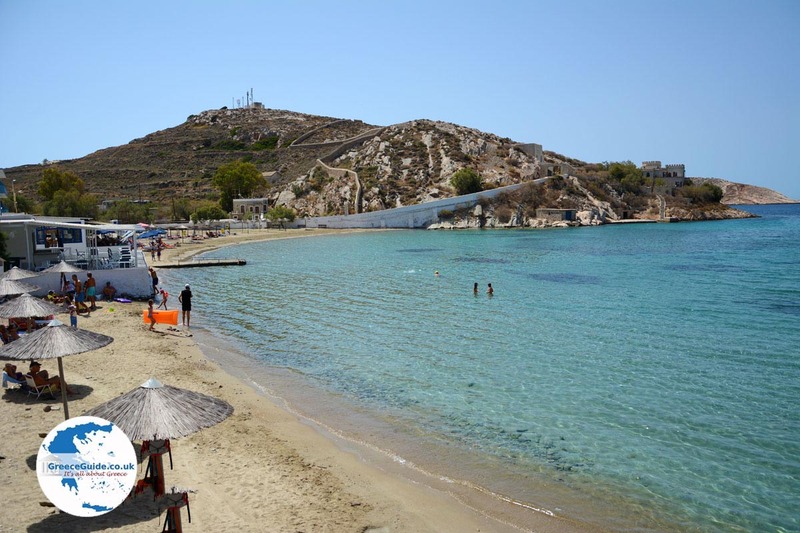 At this bay are two popular sandy beaches; Vari and Achladi. 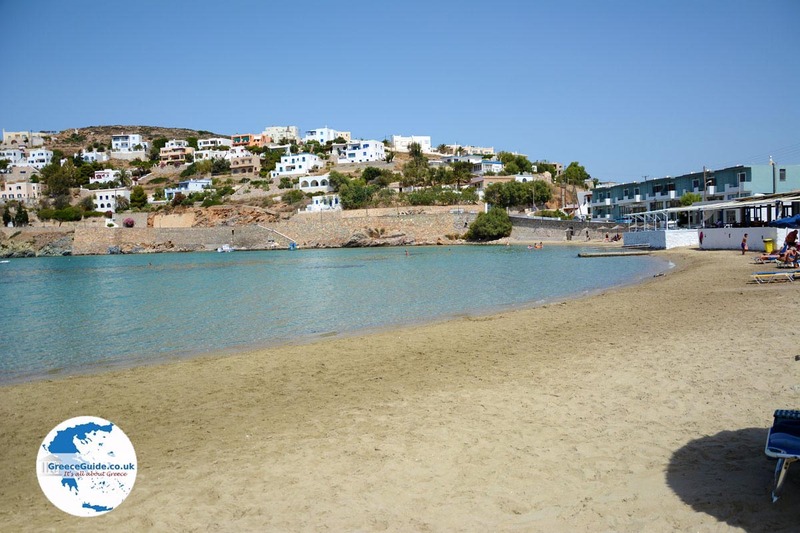 Vari is the larger beach. 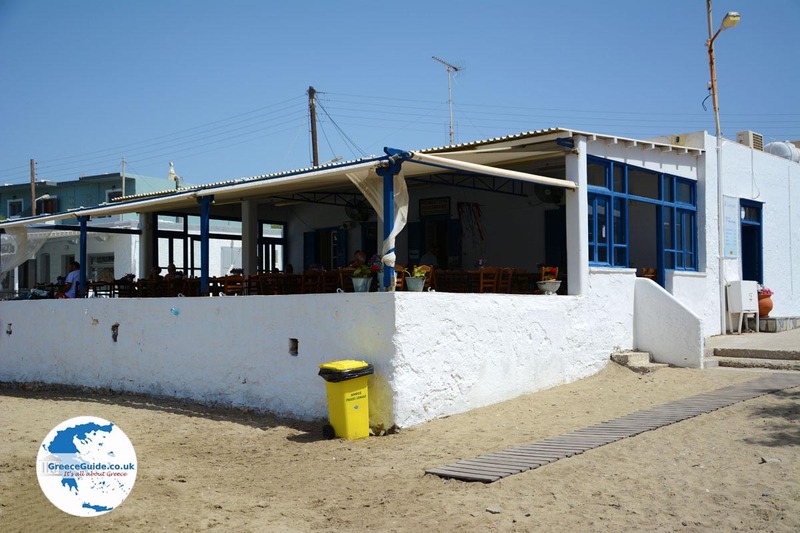 On the beach are two taverns, the terraces of which are near to the sea. In the water you can see all kinds of yachts and sailboats. The closed bay provides a safe place for boats. 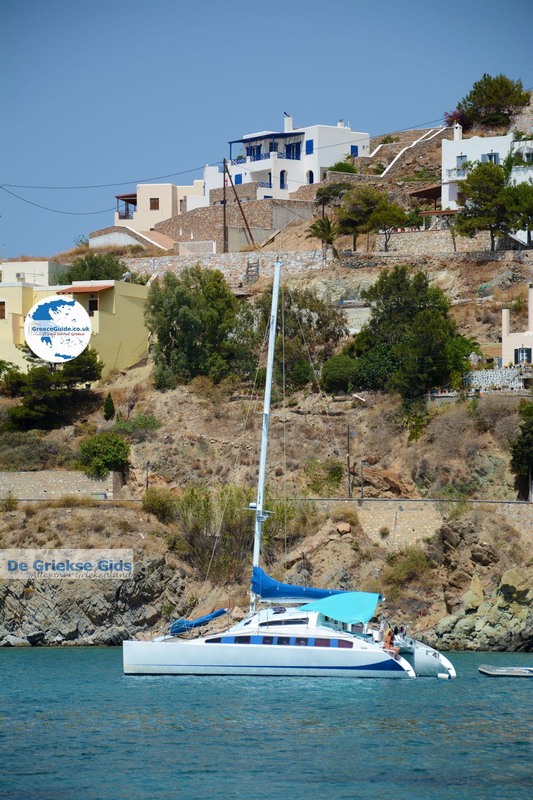 Left on the hill is a private area, which is owned by the Goulandris family, one of the wealthiest families in Greece. On the territory are two castle towers that are visible from the beach. 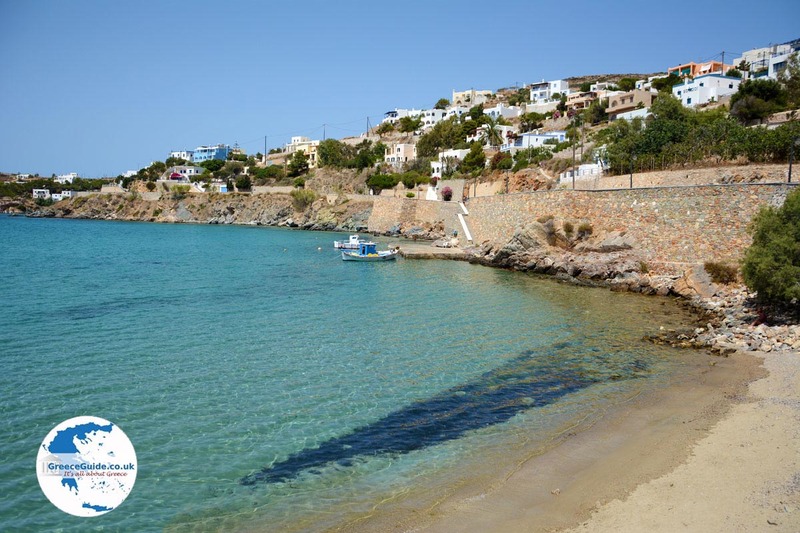 A few hundred meters to the right of the bay and behind the hill, is the beach Achladi, which in Greek means pear. 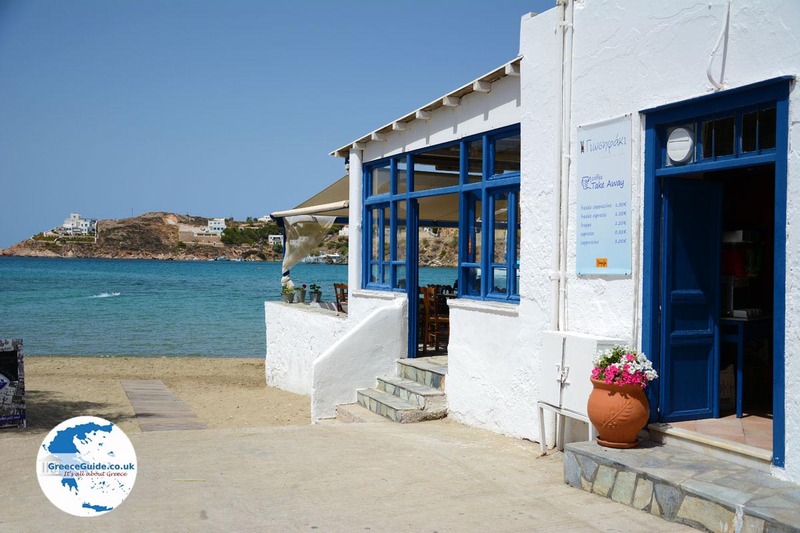 It is a small, sandy beach with a tavern with blue chairs and tables next to the water. At the tavern is a small harbor where fishing boats can moor. 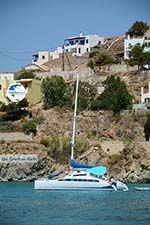 East of Vari are several nice resorts areas at the beaches of Fabrika, Empatis and Santorinioi. These are all small beaches that are surrounded by cliffs. 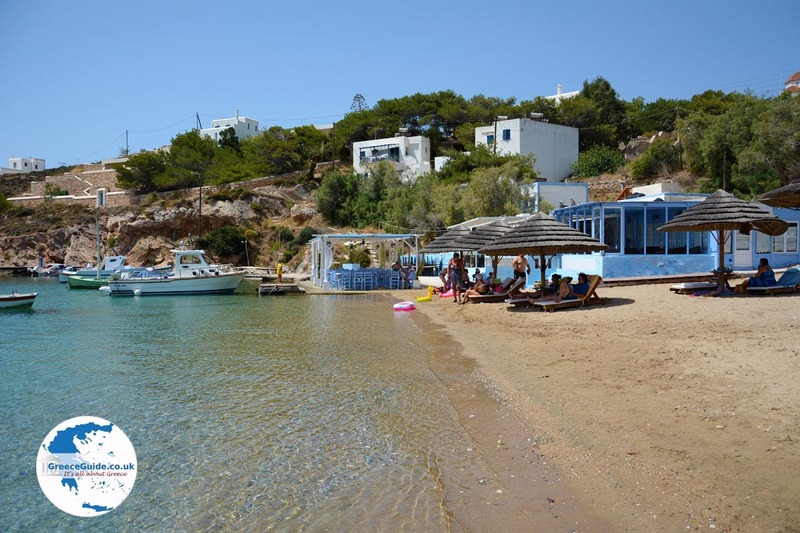 On the sandy beach of Fabrika is a quaint harbor where small fishing boats can moor. Behind the beach are apartments for rent. The name of Fabrika gives away its former purpose as a factory that fabricated ceramic objects. 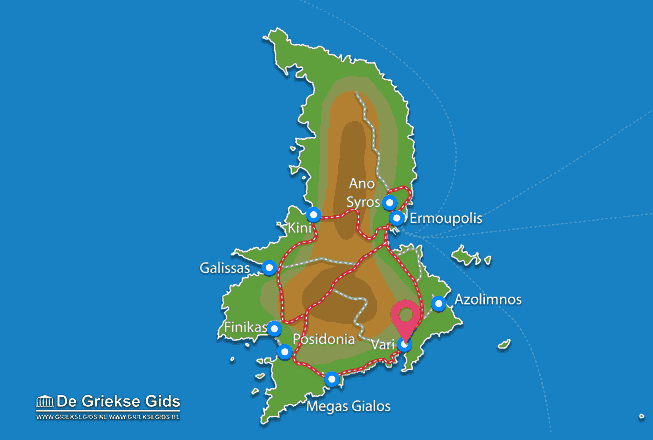 Syros: Where on the map is Vari located?